Pizzadeli is back in Chennai, and the menu made us go OMG! 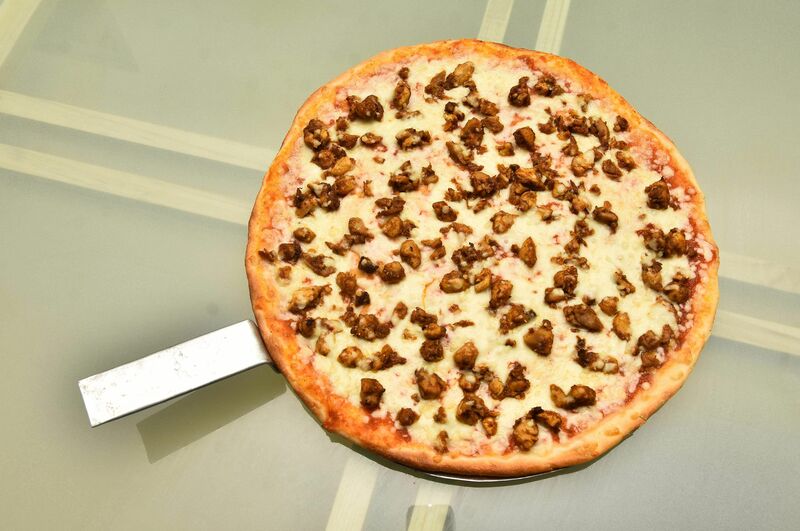 Way before pizza eateries were as commonplace as now, true blue Chennaiites will recall the homegrown pizza delivery brand, Pizzadeli, which was known for their toppings like spicy lamb and delivering them all around the city on bicycles. Eco-friendly and ahead of their time they have used only recyclable material for packaging since 1995! Now Bushan Kalaiah, who owns the brand and has been a part of it since 1996, is back in the circuit and three months ago opened a cosy little diner for the first time. He tells us that in recent years, he might have been under the radar, but was running a busy back kitchen for catering orders and home delivery. 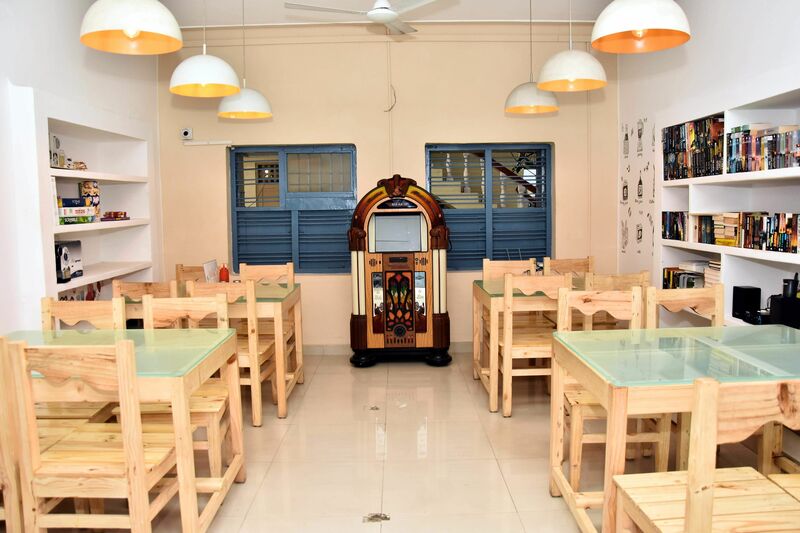 Tucked away in the by-lane behind Loyola College in Mahalingapuram, the 1,000 sq ft outlet is a 16-seater with a quaint jukebox in the middle and shelves stacked with books and board games. As we sip on some masala chai, we watch Bushan handle the many food delivery company executives — right from Ubereats, Zomato to Swiggy and others — thronging the place to pick up orders. However, once we bite into the Triple Pizza, we are suitably focused — there is a flood of nostalgia and the no-frills medium-sized, topped with cheese, ham, salami and sausages comes with a homely soft base, and is exactly how memory serves it too. “We are Indianised and homegrown — maybe pizza has its origin in Italy, but what we serve here is Indian!” says Bushan proudly, assuring us that old favourites like chicken curry, paneer masala and pepperoni toppings are on the menu that also offers sandwiches, short eats like chicken wings, and salads. “Items like milkshakes and desserts will soon be added depending on customer feedback and requests,” adds Bushan. Perusing the menu, our interest is piqued by the OMG sandwich. A six-decker challenge with extra large slices — this one is for those with a large appetite or at least a large enough heart to share the dish with others. Barbeque chicken, ham, bacon, double egg and whatnot make this a delightful, juicy option, and at Rs 250, it is no wonder that it is a popular dish. “All my vegetarian ingredients are fresh. In fact, our jalapenos are indigenous, sourced from the Mandya belt near Bengaluru,” assures Bushan, even as we take big unladylike bites of the OMG. Hailing from Coorg, Bushan admits that pork will shine in the menu and also shares plans of starting an eatery for typical Coorgi fare in the near future. However, way before that we will be back to try the pulled beef sandwich and pizza that he plans to include in the menu in a fortnight! 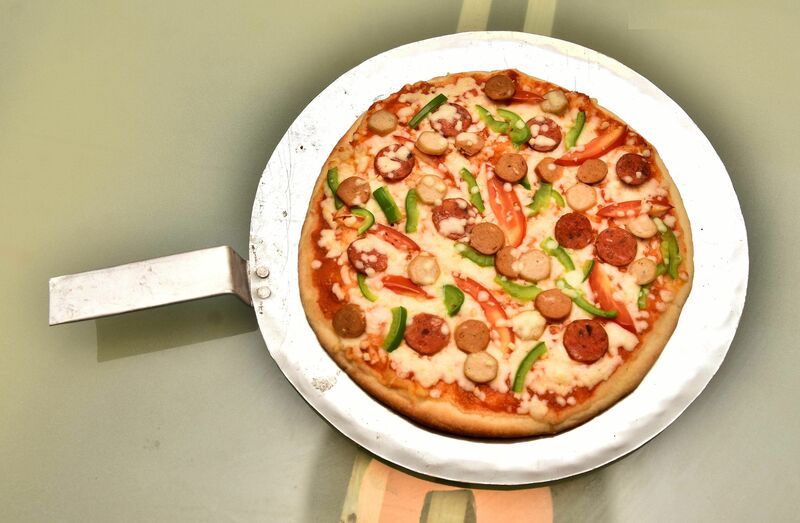 Pizzas priced from Rs 379 onwards.